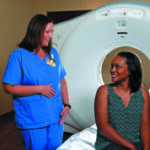 Current or long-time smokers can save their own life if they complete a lung scan annually. Detecting early lung cancer helps the patient get the important care they need before having it progress to an untreatable state. Getting the scan, which is now covered by Medicare and Medicaid for eligible candidates, is easy and possibly life-saving. Physicians around the country are having discussions about the benefits of screenings. One such discussion at Wake Forest Baptist Medical Center involved two physicians talking about this highly effective process in finding early lung cancer in longtime smokers. They remind us that lung cancer is not always terminal and 90 percent of cases found are treatable. The screening sometimes identifies nodules which are not dangerous, meaning that finding a nodule is not always an alarm for concern. Only 1 out of 19 or 20 nodules found are dangerous. The best thing to prevent lung cancer is to not smoke and avoid secondhand smoke. The second best is getting a lung scan completed each year if eligible. If you’re a longtime smoker, a screening could end up saving your life. The U.S. Preventative Task Force makes recommendations for smokers to get an “annual screening for lung cancer with low-dose computed tomography (LDCT) in adults aged 55 to 80 years who have a 30 pack-year smoking history and currently smoke or have quit within the past 15 years.” Ask your doctor if you are at risk for lung cancer and should receive a lung scan.